Photos — especially in black and white —always do it to me. Seeing the iconic images of the protests and shootings at Kent State touches me, even though I never stepped foot on the university campus until 1995. I can feel what it must have been like in 1970. 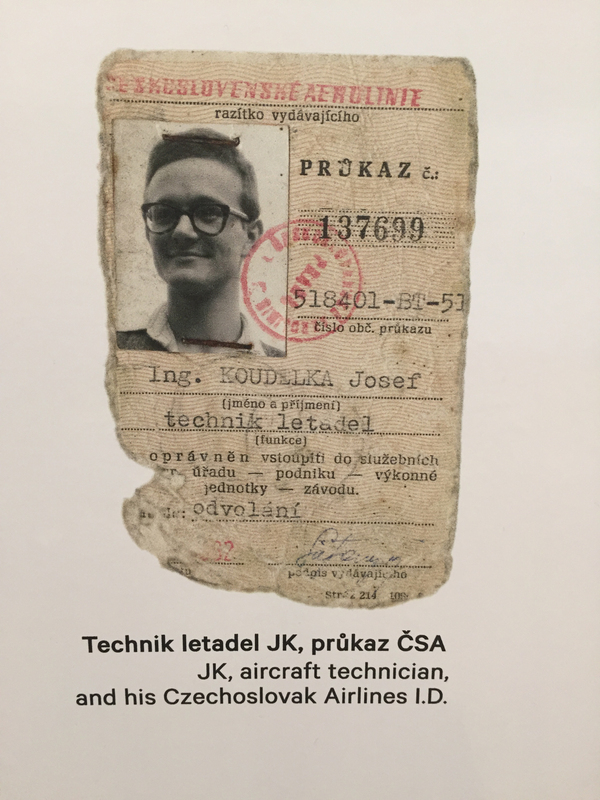 So I should have known today’s trip with my class to see an exhibit of photos from renowned Czech photographer Josef Koudelka would have an impact. After all, his photos when the Warsaw Pact troops invaded Prague in 1968 showed the world what happened to the everyday Czechoslovak people when Soviet tanks rolled in. So many of the faces looked about the same age as the students in 1970 Kent State photos: angry, sad, confused, simple raw emotion in black and white. And it was clearly not what the Soviets wanted the world to see. Koudelka didn’t start out to be a photographer. His early career was as an aeronautics engineer. When he became interested in photography in 1958, he captured the art and intensity of the theater. Shortly after that, he made photos of the lives of the Romani — the gypsies — in Czech, Slovak and Bohemian areas. The passion of those photos showed small children, tired elderly, sometimes smiling musicians, families going about their everyday lives in cramped and desolate housing, at funerals or while mourning their dead. He returned from a trip to make more photos like these the day before the tanks of the Soviet invaders entered the city. Suddenly, his art photography had become documentary, though losing none of its impact. His work was published worldwide under the initials P. P. (Prague Photographer) for fear of reprisal against him and his family. In 1969, he was anonymously awarded the Overseas Press Club’s Robert Capa Gold Medal for those photographs. Unfortunately, the lighting in the museum made reproducing some of the most impactful impossible. Not surprisingly, Koudelka left Czechoslovakia for political asylum in 1970 and one series of his photos is called “Exile” as he spent many years traveling all over Europe. His experimentation with panorama images was another notable contribution to the field. 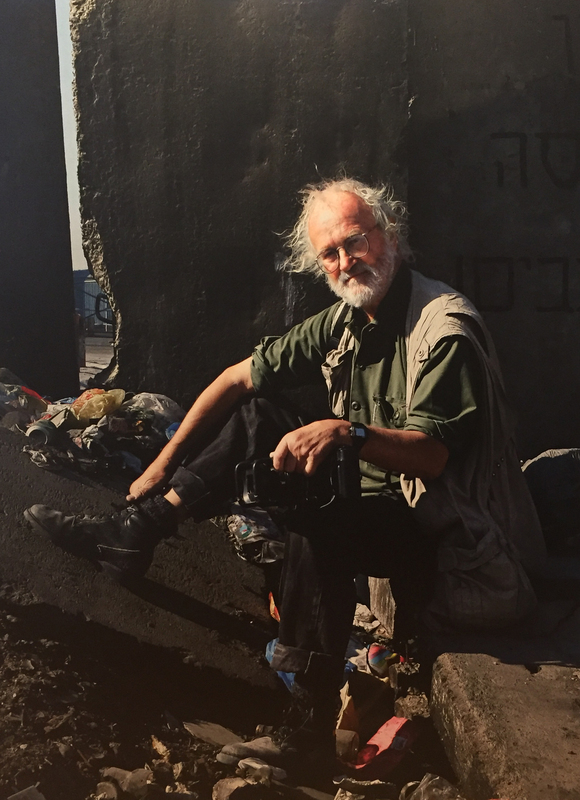 Now, at 80, his exhibit at the Museum of Decorative Arts in Prague is titled “Koudelka Returning.” It’s a retrospective he is donating to the museum with nearly 400 photos representing Beginnings, Experiments, Theatre, Gypsies, Invasion 68, Exiles and Panorama. It runs until Sept. 23, 2018. 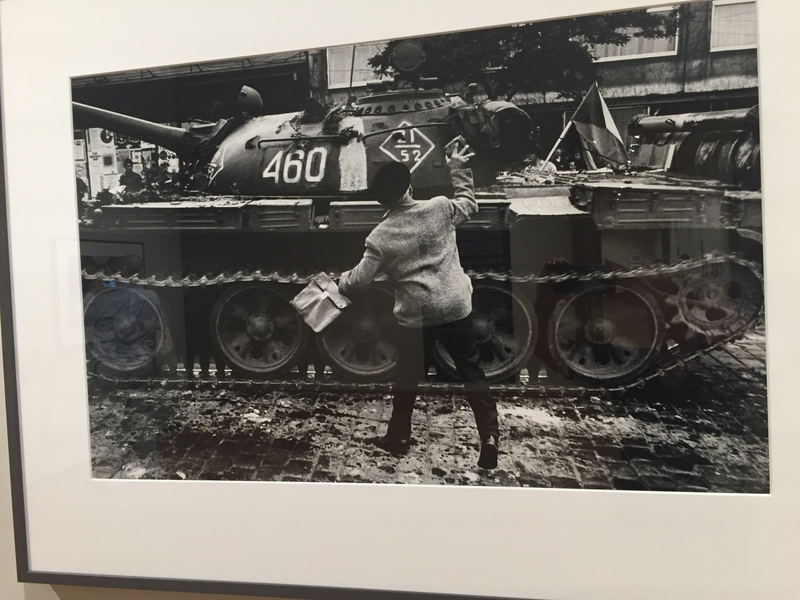 A contact sheet from Koudelka’s 1968 Prague invasion shots. Another famous shot shows the time of day and an eerily empty Wenceslaus Square as the Soviet tanks prepared to enter. Deliberately high contrast and grainy, many of these shots focus on the intensity of the drama. Another from the Theatre period also shows emotion with little detail. The Gypsy images are dark and brooding, even when children are involved. The Museum of Decorative Arts is a masterpiece itself. Ironically, I wasn’t so sure I would be able to spend the two hours of class time looking at photos. I was pretty excited about another exhibit there — “Small Worlds: Dolls’ Houses” from the V&A Museum of Childhood in London. Luckily, I learned my ticket will still be good to that for two more weeks. Stay tuned…. This entry was posted in Uncategorized and tagged Koudelka, photography, Prague by Candace Perkins Bowen. Bookmark the permalink. Wow! This is very cool and educational! Ticket good for return visit/s. That’s pretty amazing, too. Hope your students enjoyed the day as much as you did!